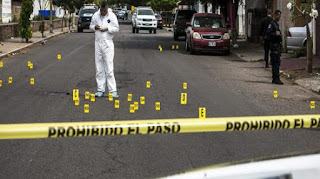 Mexican congressional candidate Fernando Puron had just left a debate hall where he addressed public security in his northern state of Coahuila, which borders Texas. He walks over to a person holding a phone and poses for a picture. A man calmly walks up from behind and shoots him in the head, killing him before walking off. Puron was running on an anti-cartel platform which made him a target. 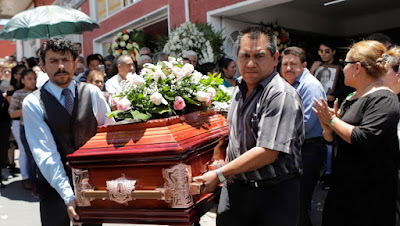 136 politicians have been murdered since candidate registration for elections in Mexico opened in September. It is by far the bloodiest Mexican campaign on record. Figures show the lengths to which the country's powerful drug cartels go to to place their allies in local government. Political violence is part of the larger bloodbath which has totaled a record 25,339 murders last year. Security experts say the country faces a deep-rooted problem of "complicity between public officials and criminals."